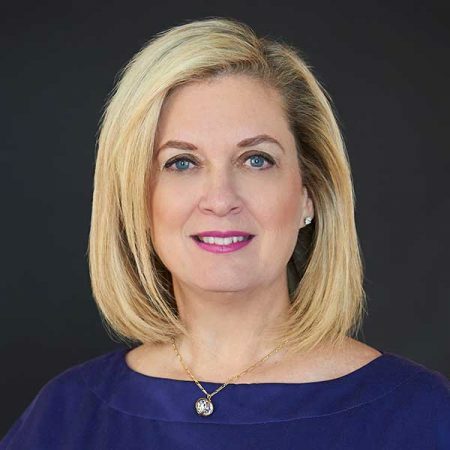 Florida State University alumna Nancy McKay, CEO of Nest Fragrances, will be the commencement speaker during the university’s summer commencement ceremony. McKay will deliver the commencement address at 9 a.m. Saturday, Aug. 6, at the Donald L. Tucker Civic Center, 505 W. Pensacola St. President John Thrasher will preside at the ceremony, which will be webcast at http://learningforlife.fsu.edu/fsu-graduation/. This summer, 2,410 will graduate: 1,608 will be awarded bachelor’s degrees, 655 will be awarded master’s/specialist’s degrees and 147 will be awarded doctorates. About 1,500 Florida State students will participate in the ceremony. McKay was named Nest’s CEO in January 2015. Since then, she has led the company through a period increased prominence and growth as a producer of body, bath and home fragrances. Prior to joining Nest, McKay was general manager and senior vice president of the Estee Lauder brand, Tom Ford Beauty and Aerin Beauty for North America at the Estee Lauder Companies Inc. Over her 25-year career in the beauty industry, McKay has gained a reputation for growing and strengthening the brands she has been affiliated with, including Clinique, Donna Karan and Tommy Hilfiger and Michael Kors Fragrances. McKay is a member of the Board of Governors for the Fashion Scholarship Fund, serving as the FSU Ambassador for that organization. In addition, she is a member of the FSU Foundation Board of Trustees. She previously served on the FSU College of Human Sciences Board of Governors. McKay was honored by the FSU Alumni Association in May as one of four FSU Women of Distinction to receive the inaugural Inspire Award. She earned a Bachelor of Science degree in social sciences from FSU in 1978. •The Student Veterans Center will host a Veterans Graduation Reception for all graduating student-veterans and their families from 5:30 to 7 p.m. Thursday, Aug. 4, at the President’s House, 1030 W. Tennessee St. Each graduating veteran and ROTC cadet will be presented with a commemorative coin and with a red, white and blue honor cord to be worn during commencement. •The College of Social Work will host a reception for its summer graduates from 2:30 to 4:30 p.m. Friday, Aug. 5, in the Oglesby Union Ballrooms. Two speakers will address the graduates: student Jo Winters and keynote speaker Adam Harnett. •The College of Business will hold a hooding ceremony for graduate students at 3 p.m. Friday, Aug. 5, in Opperman Music Hall, Kuersteiner Music Building. Two speakers will address the graduates: Adam Ely (MBA ’06), vice president of information security at Walmart Global eCommece, and Drew Dawkins, who is graduating this summer with his Master of Accounting degree. •The Army ROTC program will commission a group of three second lieutenants at 5 p.m. Friday, Aug. 5, at Harpe-Johnson Hall, 103 Varsity Way. Army Lt. Col. Trahon T. Mashack (B.A. ’97), battalion commander of the 832nd Transportation Battalion in Jacksonville, Fla., will address the cadets: Dillon Grenz, Joel Harvard Medina and Skye Snayd.